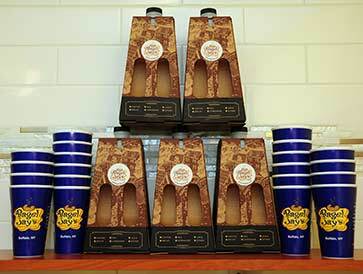 Named "Buffalo's Best Bagel" by Buffalo Spress & Artvoice! 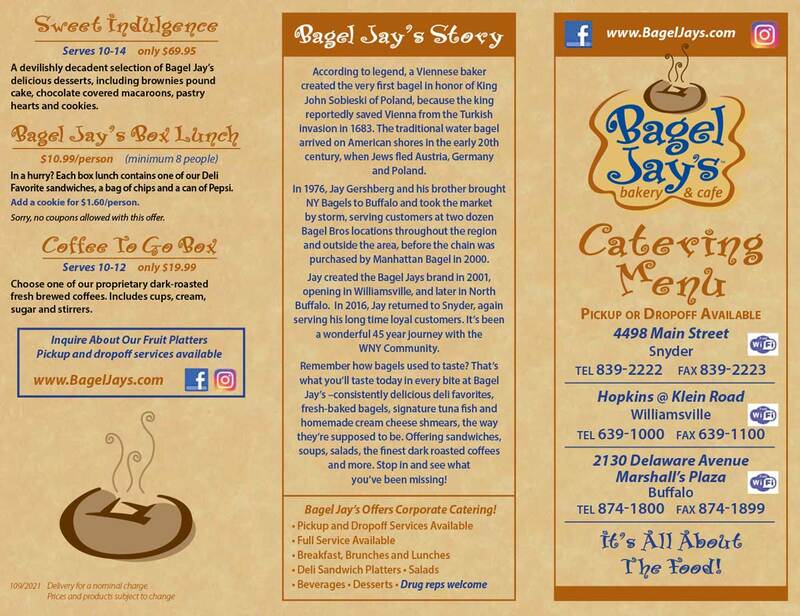 Bagel Jay’s Does Corporate Catering, for groups from 10 to 500! 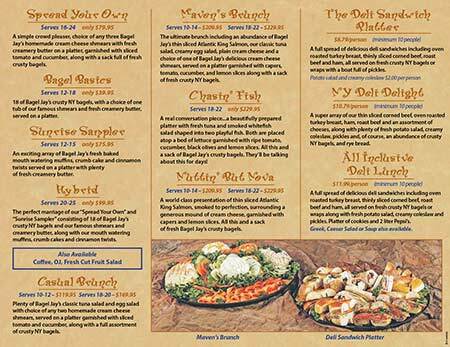 Breakfasts, Lunches and Brunches for Weddings, Bar and Bat Mitzvahs, Funerals and other Special Occasions. 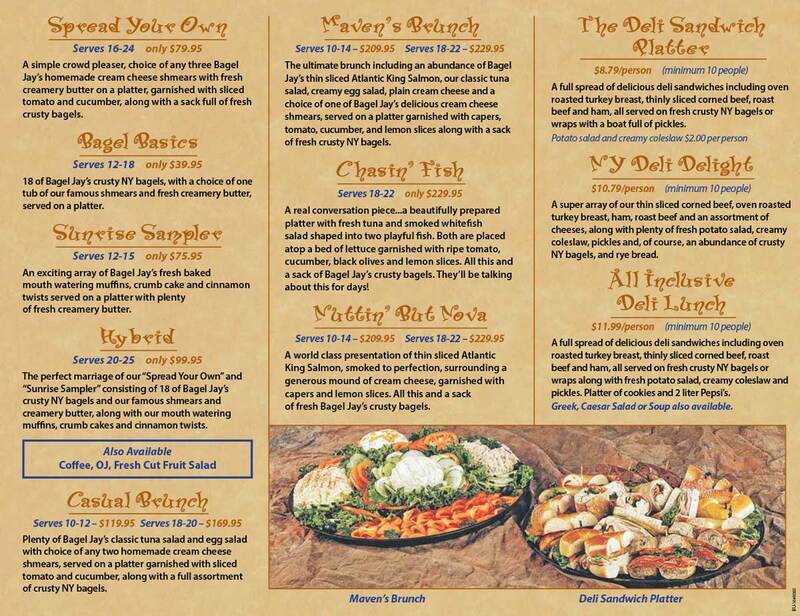 Please select a location nearest to you to call in and place your order. Pickup and Dropoff Services Available. 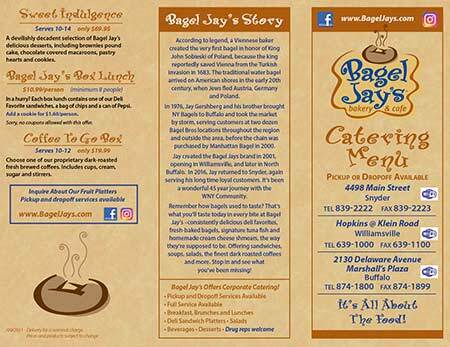 If you're happy with your order (and we're sure you will be), please refer Bagel Jay's to your friends and colleagues for their next breakfast or lunch order. 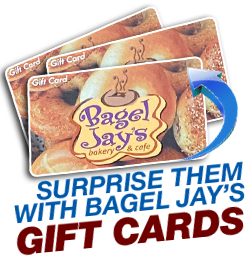 Surprise your clients and friends with Bagel Jay's Gift Certificates, available at any of our locations in $5 increments. It's the gift that keeps on giving!